Rain is drenching much of the East Coast as voters head to the polls Tuesday. But it’s unclear whether that gives either political party an edge. The adage that foul weather discourages Democratic turnout and, hence, helps Republicans, doesn’t have much evidence to back it up, according to several academic papers including a 2007 study published in The Journal of Politics. Rain reduces voter participation by less than 1 percent per inch, the study found. Thanks to early voting, more than 35 million Americans have already cast ballots this year, and weather won’t affect them at all. Tuesday started with fog and thunderstorms across the South, while a steady rain fell most of the day in New York, according to the National Weather Service. The Northeast was forecast to get as much as 1.5 inches of rain, and a cold front may bring heavy rain and thunderstorms to the mid-Atlantic coast from Delaware to North Carolina. Stormy weather was having an unexpected impact in North Carolina where election officials in Wake County were told that ballots could not be fed through tabulators because of high humidity, the state board of elections said in a statement. Officials said the ballots would be stored and counted later. In Tennessee, some polling stations were left without power as a result of the weather, the state’s elections coordinator Mark Goins told ABC News. Most stations have backup generators but at least one was forced to use emergency paper ballots. 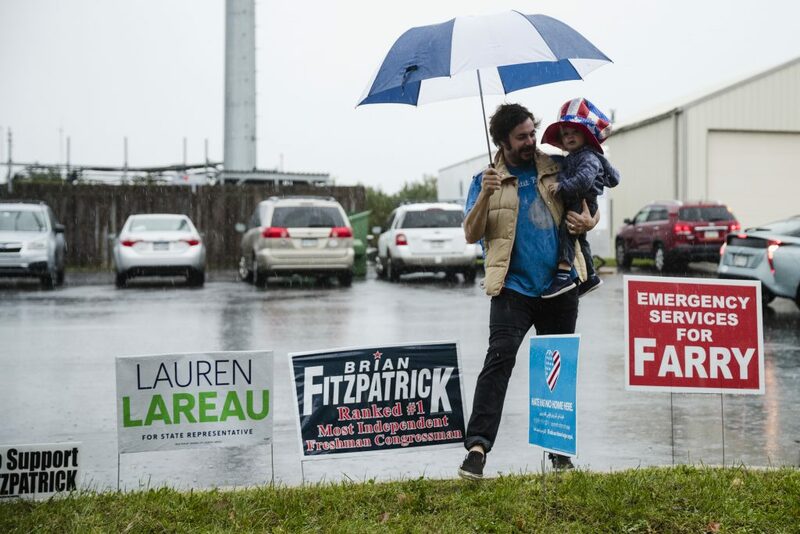 One thing the weather may have clear impact on is the mood of voters, according to Erik Duhaime, a doctoral student at the Massachusetts Institute of Technology’s Sloan School of Management in Cambridge. Rain makes voters less willing to take risks, dampening enthusiasm for third-party candidates, Duhaime said. It also darkens their mood. “You want to make sure that the person who terrifies you isn’t the one who is going to get elected,” Duhaime said in an interview. That could help or hurt either party.